walking the path of sacred wisdom. an Ayurvedic concoction for longevity, radiance and health. Herein are a couple of my current favourite Rasayana recipes for you today - inspired by the Autumn here in Switzerland, her sweeping cedar hues and green to golden change - these nourishing preparations are made with sustaining Ojas (longevity) in mind. Autumn especially is a fabulous time of the year to embrace the potent potion making potential of yummy nourishing drinks. But first, a little about Ojas; what is it and how to strengthen yours. Contrary to common assumption, the Doshas that we know as Kapha, Pitta and Vata, are actually not seen in such positive light Ayurvedically so. Their tendancy to excess, implies the potential of disease. However each has a subtle counterpart known as Ojas, Tejas and Prana. Ojas is the beneficial role of Kapha dosha and means strength. Tejas is from Pitta dosha and the means radiance. Prana is of Vata and eludes to the vital essence of life. Together they work to encompass health within. Ojas is heartiness, deep tissue health and resilience. It is the biological water humor, immunity and our mental emotional harmony and strength. The equivalent of Ojas in Traditional Chinese Medicine is called Jing and both TCM and Ayurveda imply that we are born with a certain amount and it declines with the natural process of aging, yet can be preserved with appropriate life-stlye choices. In a nutshell, Ojas is important and to Nourish your Strength (check out my upcoming workshop) is an important factor in bolstering mind-body-spirit health. Rest; take it easy. Don’t overdo yourself and make time to pause. Nutrition; not to much, not too little. Ayurvedic, vegetarian preference. Fresh is best. Devotion; have faith, practice forgiveness and patience. Handle pleasure and pain with equanimity. Meditate; let the mind be witnessed for a bit and hang out with the witness. Bliss. Now time for your Rasayana drink recipes ! 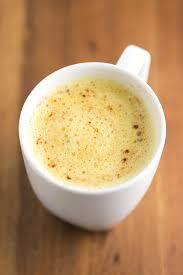 The following Rasayana recipe is very good as a grounding pre-bedtime treat. Substitute the milk as you desire and the dates for honey if you are following a Kapha reducing program. As you gain familiarity with the spices, play around with the measures according to your taste. Warm your ingredients on the stove. Transfer to a blender to blitz into a warm creamy whip. Sip by candlelight and slip into a serene night time sleep. Enjoy this mojo building pre-bedtime treat that will melt cravings and stress into deep restful dreams. *Although typically safe, please check with your local Ayurvedic practitioner for your own personal indication of use. Want more yummy Ojas building recipes ? Did you like either of these recipes ? Did you try them ? Hit the love heart button if you did and let me know how you went. I love to read you and reply each time.